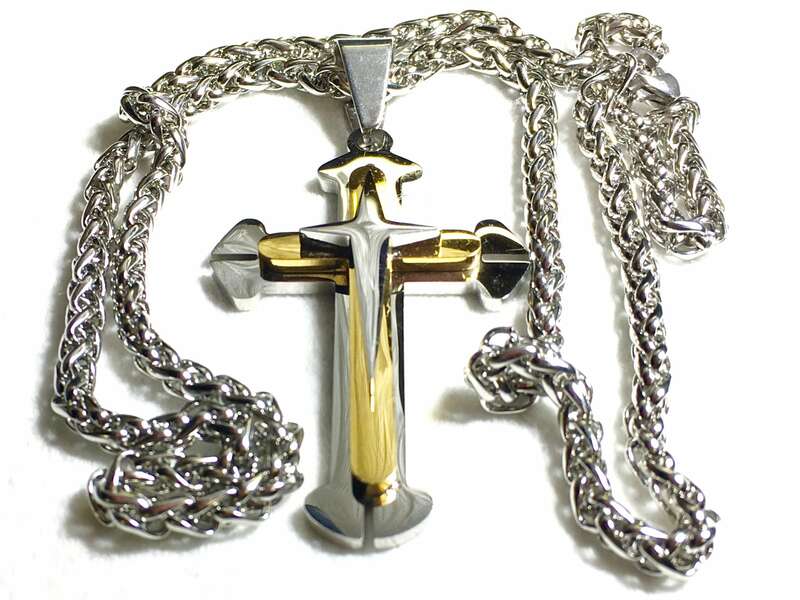 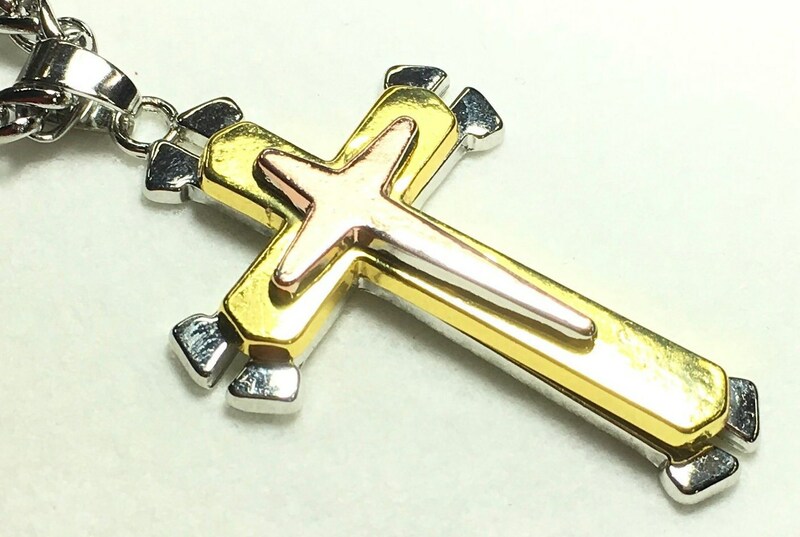 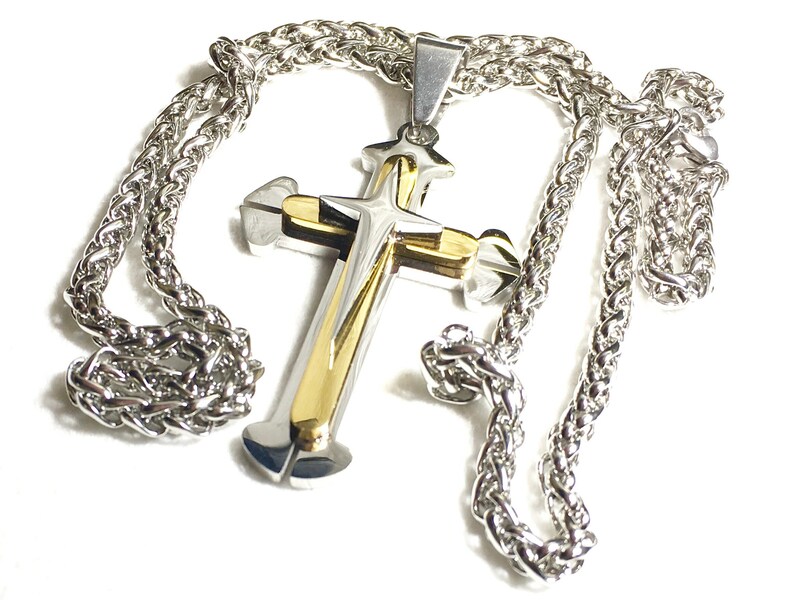 Our exclusive 3 Layer Cross with Super Heavy Braided Stainless Steel Rope Chain. 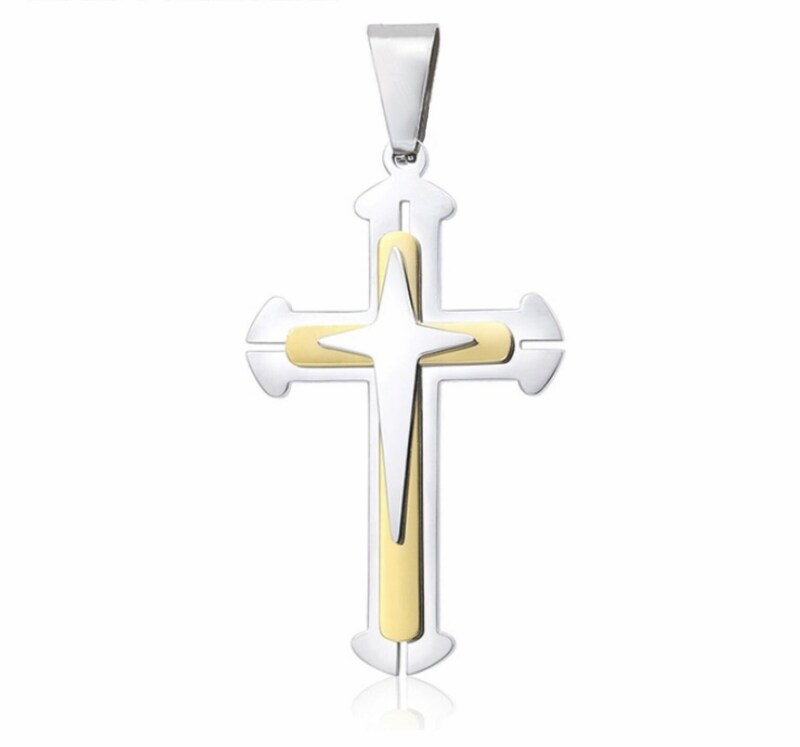 Each of the 3 layers has a High Luster polished. 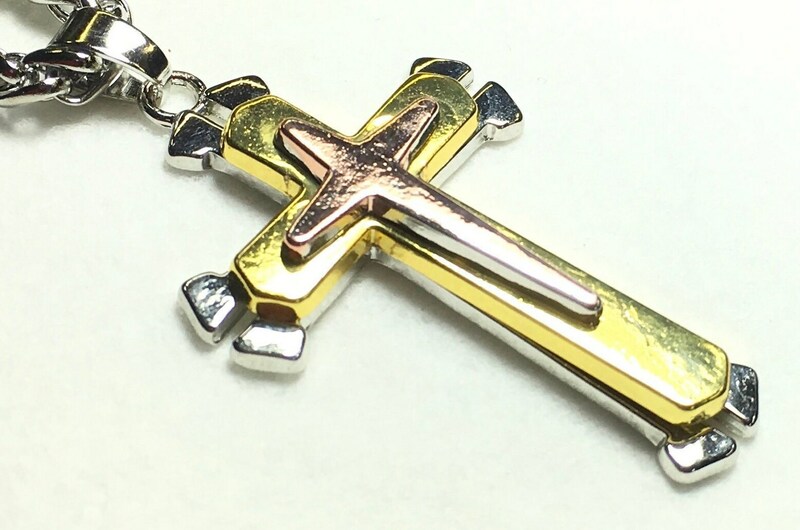 o 3 layer Copper, Gold, Silver with Heavy Stainless Steel Chain for just $14.99. 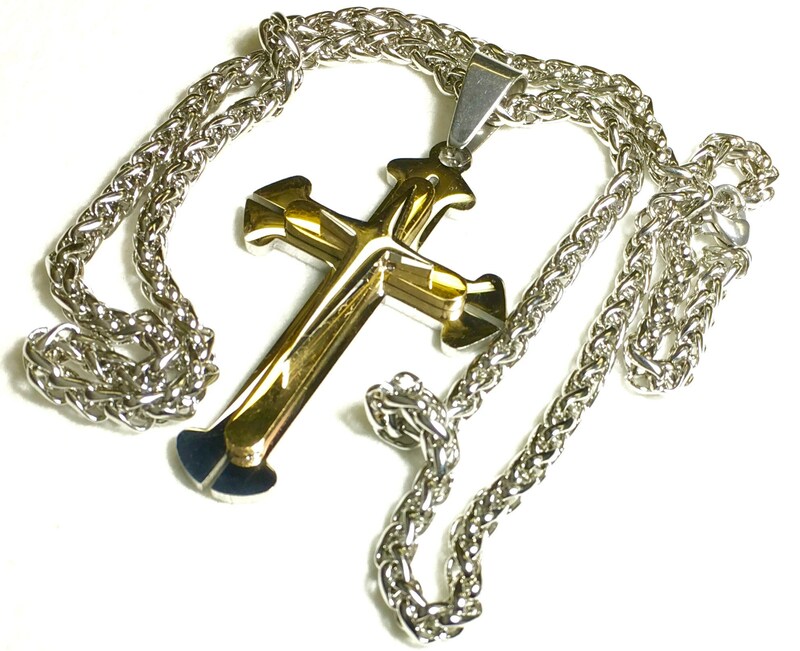 Cross measures 1 1/4" wide x 1 3/4" long. 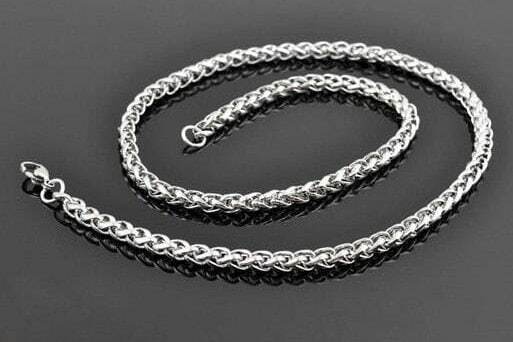 o 3 layer All Stainless Silver, Gold, Silver with Heavy Stainless Steel Chain for $19.99. 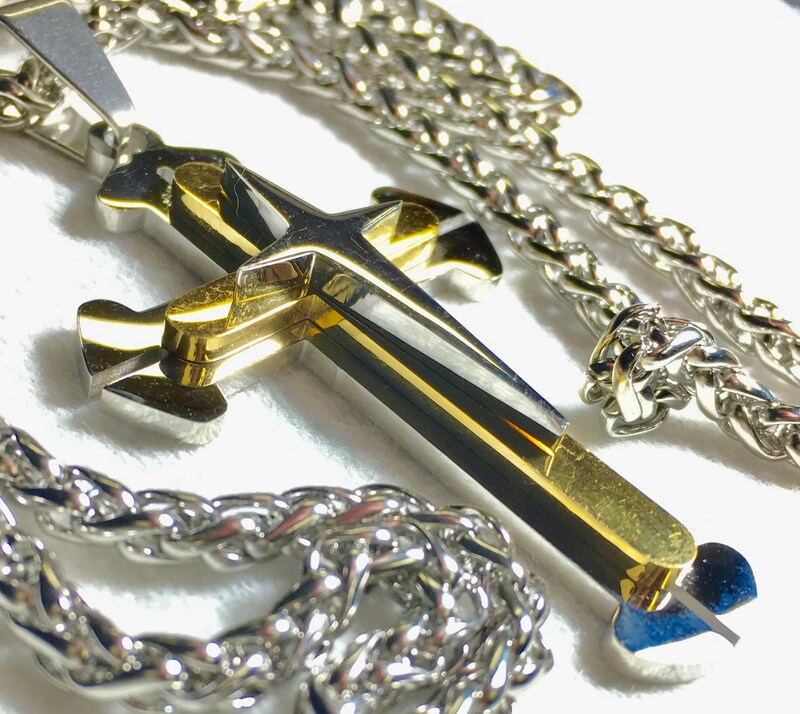 Cross measures 1 1/4" wide x 2" long.